Click the button below to add the Body Nutritive Serum #Just Tanning# to your wish list. This is Gold for your skin. Get the Glow that you desire Now. Accelerate the tanning process while natural vitamin rich plant goodness from Kukui, Hazelnut, Avocado and more tone, replenish and moisturize skin leaving it glowing! Get the best skin color ever. If you have skin that is flaky, dry, scaly or even crepey with just a few sprays of this amazing body nutritive serum before tanning will help transform your look. Imagine fast and easily getting a more youthful, luminous, and even-toned skin. This will help diminish the appearance of stretch marks, cellulite, and wrinkles, for visibly fresher looking skin. Used this for the first time on vacation. I had a good base tan and usually don't get much darker. This product proved me wrong. I got a beautiful rich bronze brown tan the darkest I have ever been. I am ordering another bottle today so I can have it for next year. Faster tanning and afterwards use to help maintain your tan longer with natural moisture that will make your skin glow! Natural vitamin rich plant oils tone, replenish and moisturize skin leaving it velvety soft. 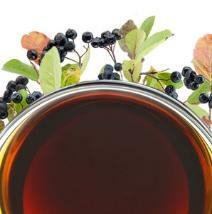 Powerful antioxidants that smooth and protect, reverses visible signs of aging and softens the skin. I've heard about this serum for many years and finally decided give it a try to take on vacation, since I would be tanning. It gives your skin a unique velvety feeling and gave me a color I have never had before! Although I had a base tan, I tanned by the water for 4+ hours and did not burn. It's a must have for any sun lovers! I could not be happier...there are no cons to this well thought out product. I have never seen my skin look like I actually have a tan and not red or pink color. I do not tan under any circumstances and this tanner body serum really works for me. I have used it twice and can already see the color difference! I was looking for a natural tanning solution; I want my skin looking bronze and healthy, brown, not orange, not red. I am not avoiding the sun, but definitely I want to avoid the harmful chemicals & additives on skin products, I don’t want alcohol, paraben, silicones or petroleum. I get bronze really fast with this serum; don’t need hours of sun exposure to see results, I am very, very happy with this natural-tanning alternative, this serum gives enough nutrients to my skin. Love this serum! All of my friends and family who see my skin are amazed with the results. I don't know what the secret is, but I have gotten such great color that many people have remarked on it. My skin looks healthy, this by far gives an extremely nature looking tan. I was suffering with eczema and all products that I used before to get tan became my skin red, itchy and very angry. This is the first product for tanning that helps with my eczema. If you never use a natural tanning product before, you will be amazed with this one! I never cared about natural/organic products before. I have normal healthy skin….but this product make a difference in my skin and I felt the natural pure ingredients for first time it was simply amazing…..I don’t want to pollute my body with more chemicals…I just want to be under the sun for a little while and with this product I feel natural and healthy! I bought this body serum and used it last weekend at the beach.. and I gotta tell you - this one does the job. I am white girl and I don't tan that easy, it usually finishes with red, burn skin. Using this for one day and it gave me nice light brown tan I wanted. I LOVE this product! You can`t believe the results. It`s definitely a winner! I really like the fact that this product is all natural and feels great on my skin. The ingredients in this serum look like healthy dieting foods! Which makes me very happy. It moisturizes really well and it smells nice, which is a big plus for me. The main reason I got this product was to help improve my tan, so that my skin looks healthy and not just burnt. So far it has delivered on what it promises. I am not lying when I say this product makes my skin feel beautiful. It really does enhance my skin tone, and gives it a healthy new glow. I use the body serum every day, even when I am not going to get tan. It really nourishes the skin, keeping it moisturized throughout the day. As I grow older I realize, how important it is to keep your skin healthy. My skin deserves the best, for it to feel the best. Being Italian and living in Florida, I have to be tan. I am addicted to this body nutritive serum. My max continual exposure: 3 hours at the pool (12pm-3pm). Reapplied every 40 minutes or so. No burn No peel. This is the only tanning product that I get tan easily and pretty dark. Only gripe is the pump spray bottle. It works fine and all. I just don't like pump spray bottles, personally. This product is awesome. After three days of being in the pool for 40 minutes I got a deep bronze tan that looks amazing. My sun tan is even and my skin is smooth and nicely tanned. This serum has no sun protection so you only need 40 minutes to get tan. I used it outside when I'm by the pool, so if you are just starting out go slow to develop your base tan and do not get burned. I have never gotten dark bronze color before, I love this serum! My skin color is much lighter than I want and I am a little bigger than I would like to be. With my body type and color I can see my stretch marks, some cellulite and even veins. This is not my best look. So I decided to use this body serum for tanning proposes to help hide and improve my skin to try to have a more attractive appearance. The results so far have been very impressive! I have enhanced the color and tone of my skin which helps me appear thinner. I am so pleased with this serum. This body serum is very easy to apply and it penetrates quickly into my skin which is a big plus when compared with the petroleum oil based tanning products on the market. This serum hydrates and moistures my dry skin with nutritive goodness. I don’ t know how to explain this but it feels and looks like I did not apply any lotion or oil to my skin, no waxy or sticky residue left behind... it feels like I’m feeding my skin! I like how the scent is light and how soft my skin feels. My body looks WOW! after each time I use it. I use this body serum two hours before get to the beach, the results are amazing. I get a beautiful color from it and receive lots of compliments on my tan all the time. My skin stays tan and moisturized. This nutritive serum makes my legs look A-mazing! I'm very pale and this is like adding a nice nutritive glow. One or two sprays are enough to cover my legs and it really smoothes and makes my skin soft. My legs look silky and tan in a healthy way and all ingredients are without any nasty chemicals. My skin absorbs just enough serum and it’s not greasy. It smells delicious and makes me feel great. It just couldn’t be better. I am Latin and my skin gets dark really fast, but not with a pretty tone. This serum makes all of the difference with in color of my skin when tanning. I get a beautiful bronze Latina color, my skin is not dark bluish, red, or even yellow. For years every brand of toner that I tried left my skin with different shades of color, but never a nice natural tan color. Maybe it’s because these brands were using chemicals to get a tan instead of the natural ingredients used in this serum. I received this serum a couple of weeks ago and this is my skin color today. I really like it! It smells pure, no artificial fragrances. The oils are absorbed right into my skin and it looks glowy, some people even told me it looks healthier. I agree 100% it is very healthy now. I really hope people give this product a try, plus it’s natural. What I learned convinced me that this is an amazing product. I believe that this nutritive tanning serum can be used to help to achieve a beautiful bronze color. At first, I wondered why so many were so happy with this product. But now I know having experienced results myself. I am a Latina and this tanning oil makes my skin looks bronze, I get the perfect brown color, I am impressive with the results! I’m using this body nutritive serum because I believe that to get a good tan you do not need to use products with chemicals in them. Tanning is a nutritive and ancient beauty secret that both women and men can use to enhance their appearance that is completely safe when done in moderation. The ingredients in this serum really support excellent moisturization to keep your skin looking its best without any questionable chemicals that can be found in spf or self-tanning lotions. I love this product! When I saw the beautiful tan color that my coworker has, I felt jealous of her. I really need to control my ego to don’t feel that way. It’s only a ridiculous tan color and who needs it anyways? Ok, well a little brown or bronze tone on my legs, arms and shoulders would look wonderful. Maybe with a little more color on my face then I would not need to use tons of make-up to cover up my pale tone. So, that’s how I started using this body serum to tan with. It was just pure jealousy! Walnut Oil prevents wrinkles, skin infections and has excellent antioxidant properties. 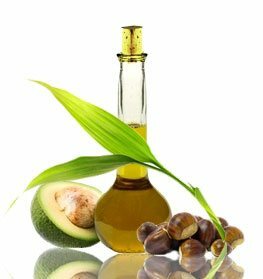 Hazelnut Oil protects the skin from UV damage, keeping skin healthy and hydrated. Apply as needed. Best used after washing and skin is damp. • You can use the product underneath sunscreen or lotion. • Use our Skin Nutritive Calming Body Wash to cleanse and moisturize the skin. Your Skin Tells A Lot About You! Do YOU Look Like a Red Lobster When You Tan??? I am such a fan. It's not much for tanning (even though it's marketed as a tanning serum), but it just feels so nourishing and makes my skin look, smell and feel beautiful. My skin is in good shape. However, I wanted to try this product because of the reviews. Very nice feel and consistency. I use it in the shower. When my skin is still warm. The scent is fresh and clean and absorbs right away. I need an oilier film on my skin; Over fifty has certain requirements! I started using this product about 4 years ago and I’m hooked! I don’t just use it to tan, I use it everyday to moisturize my skin right out of the shower. It lasts so much longer than lotion and using it outdoors is just a plus. I took it on my visit to the adored and I got the most beautiful bronze tan I’ve ever had in my life! Product's that you love tend to change or get discontinued and I'm hoping that this will be around for a very long time. This serum smells earthy & BeeeUtiful. I've been using it for a few years now. I don't tan easy & I was surprised just how tan I got! I’ve been using this product for a couple years and not only does it accelerate tanning but it also makes my skin look healthy in the winter months. I’m hooked and will not use anything else but “Just Nutritive”. I love this product so much I bought more for next year. I love this product because of how smooth and soft it has made my skin feel. It is a thick formula and not sticky or oily. I smells like rose water. I bought this based on the reviews. I used it to tan and didn't notice any difference. I went on and gave this a 5-star rating as I really love the serum. The only thing really lacking is the packaging of it as the pump spray is just totally useless. I would suggest if you purchase it to just pour it rather than going through the frustration of the pump spray. Love the serum though and it is cruelty-free which is essential to me.